Now you have a baby, what on earth are you going to do with it? Kaz Cooke delivers all the up-to-date, reliable info, with advice from the experts, including real mums and dads. 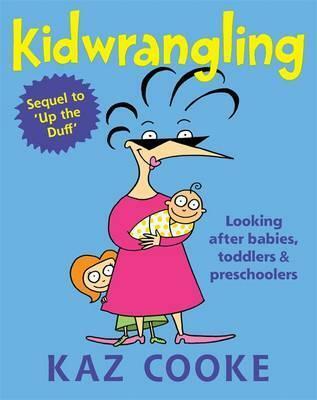 Kidwrangling is funny, reassuring and practical, with no judgmental guruspeak about the right way to do things - just a range of great solutions for you to choose from.This much-loved parenting bible has been in print since 2003 and Kaz keeps all the info bang up-to-the-minute with updates to every reprint. BABIESGetting through the first weeks; bosoms & bottles, sleeping & crying; coping, bonding & the blues; new mum & newborn health & mum's post-baby body; first food, teething & dummies and equipment.TODDLERS & PRESCHOOLERSFamily food & using the loo; child care, teaching kids how to behave & getting ready for school; dealing with common illnesses.PLUSEmotional and physical development 0 to 5; immunisation, safety & travel; what dads need to know; birthday parties & presents; games, toys & activities; being at home or doing paid work; best ever lists of helplines and other contacts.